The collective CUSS Group responds to commercial, cultural, and technological super-hybridity in contemporary South Africa and beyond. 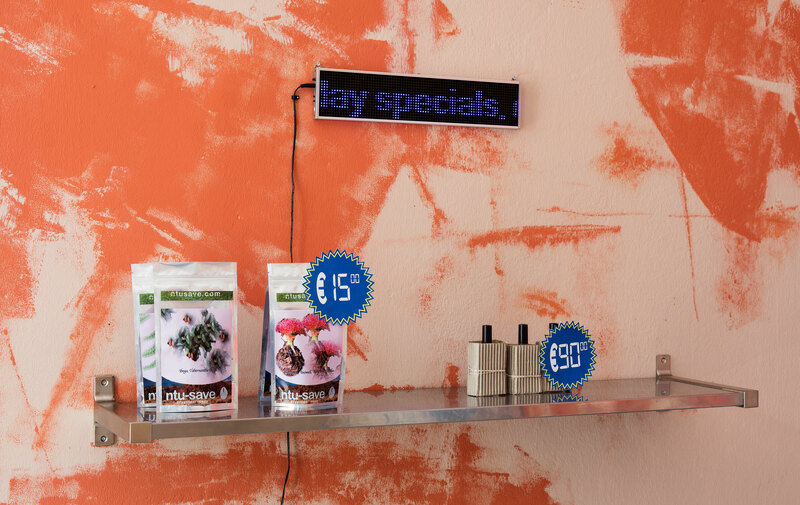 Signposted as “Triomf Factory Shop,” their installation appears to be a store filled with products for sale: including a fragrance, a beer, and LCD monitors broadcasting a TV channel, all of which are commissioned works by other South African artists. The shop serves as a virtual “front” for a back room, which is a site of production for a live program of performances. Closed to the public, these events are streamed from behind closed doors into the storefront. 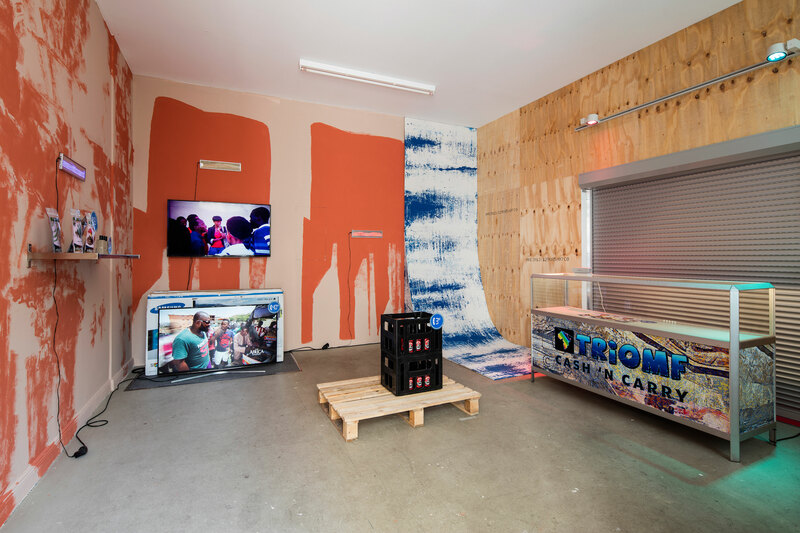 CUSS Group’s use of a shop not only speaks to the gap between official presentation and processes of creative production, but it also plays on how in the city politics and national interests that drive biennials, participants are envoys, quasi-exports, quasi-emigrants, of cultural dissemination amid a globalized, though still nationally based creative economy.